A spider with strong similarities to Eriophora transmarina and other related Araneids, being medium-large with a wavy pattern on the back. 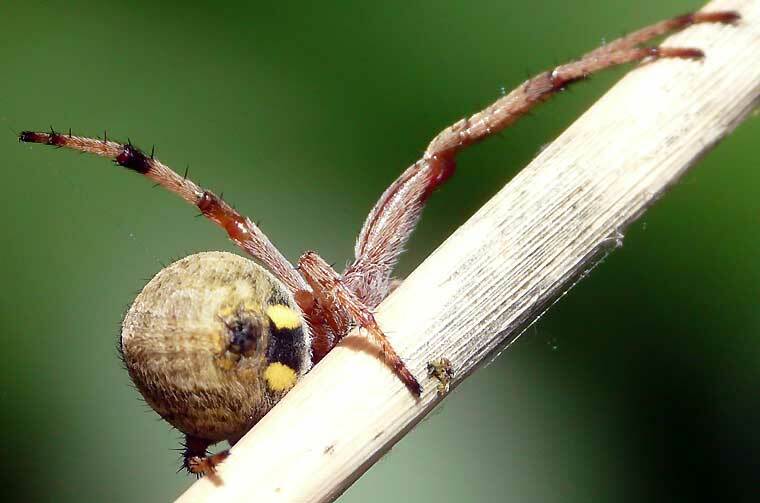 The two ventral spots on the abdomen are like those of many other Araneus including A. rotundulus. Female to 8mm body length the male to 5mm. The abdominal pattern is very variable. 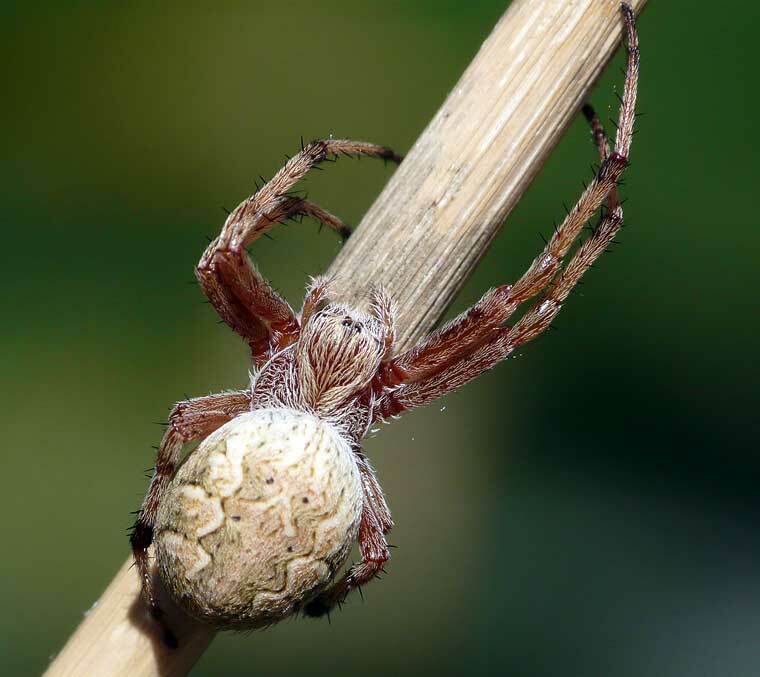 Builds an orb web in low vegetation, by day usually hides nearby in a daytime retreat. The male and female look different (sexual dimorphism). This spider was in retreat near its small web in shrubbery and rushed out with astonishing speed when the web was touched lightly in the centre with a stick.